Sharp XE-A207 White Cash Register has a back lit operator display with 5-8 lines, it is a high visibility operator display. 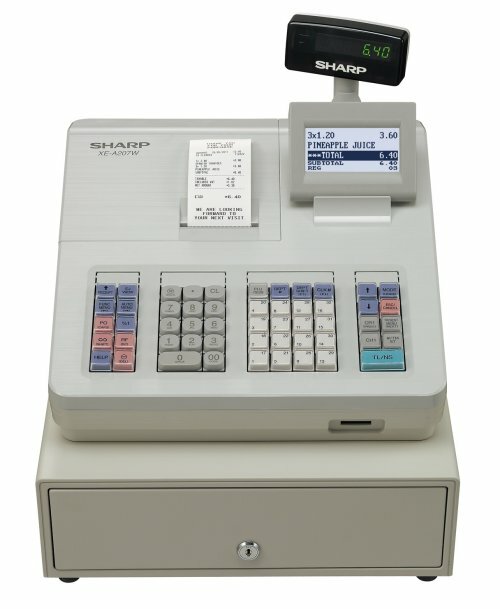 Sharp XE-A207 white Cash Register can display up to 20 characters (alphanumeric). Enabling cashiers to view items, prices, and other required information. The operator display is adjustable. This model has an on-board SD card slot, enabling the user to back up various kinds of data, including daily sales and Electronic Journal data. Addition to this data can also be backed up as CSV file type, which then can be managed on a computer via spreadsheet software. SD Cards are not included in box. This current model is available in White or Black, so please double check your purchase. 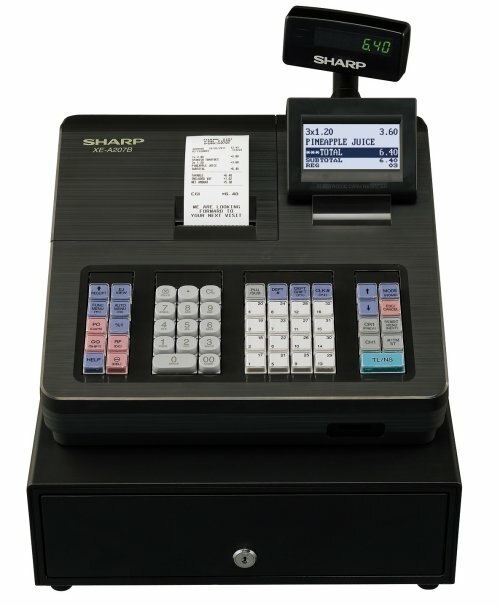 Click the button below to add the Sharp XE-A207 White Cash Register to your wish list.